Have you and your friends ever wondered who would win a fight with cybernetic dinosaurs and laser cannons? 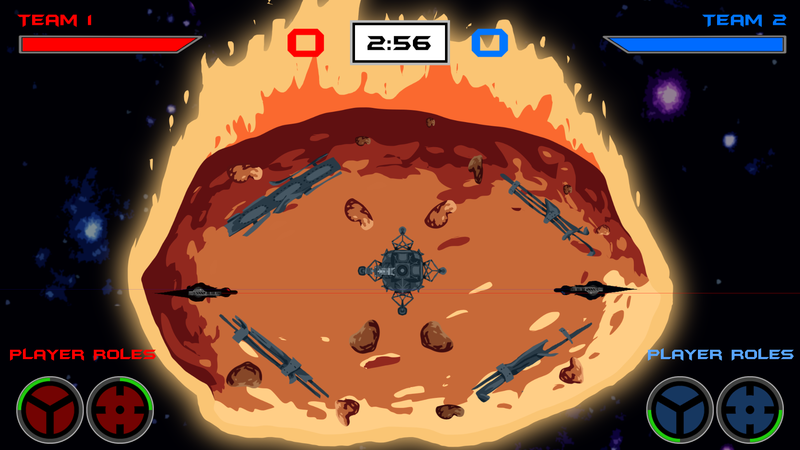 Well this is the game for you. 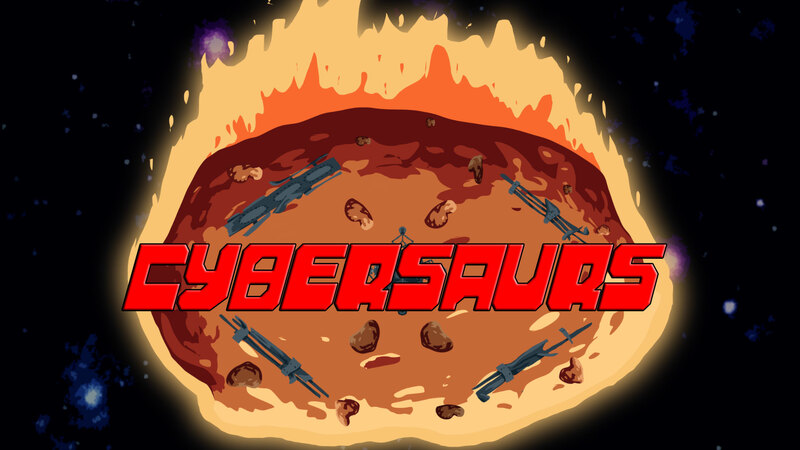 Cybersaurs is a 2v2, team-based, arcade shooter where each team controls a major part of the Cybersaur. 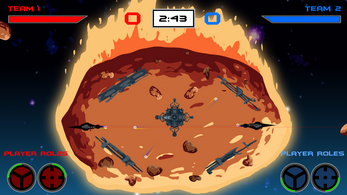 The Driver controls the movement and where the Cybersaur will go and the gunner controls the massive laser cannon on its back. You must work together to run, dodge and shoot your way around a falling asteroid and destroy the other team with sick trick shots as the bullets can bounce around the place and off rocks, walls and other surfaces. Be careful no to hit yourself or you friend ship might be over.